Set in a remote hotel with a macabre history. Wales Interactive has announced first-person survival horror game Maid of Sker for PlayStation 4, Xbox One, Switch, and PC. It will launch in Q3 2019. Maid of Sker is a first-person survival horror, set in a remote hotel with a macabre history from Welsh folklore. Brave the nightmares of the Quiet Men. When they arrive, do not panic — don’t even breathe. Coming Q3 2019 to PC, PlayStation 4, Xbox One, and Nintendo Switch. Based on the haunting true story of Elizabeth Williams, you play as Thomas Evans, a musician who is thrust into a terrifying battle to save the woman he loves. Set in 1898 in and around Sker House, a real dwelling which still stands to this day and is said to be one the most haunted in Britain. Featuring realistic 4K visuals with gameplay focused on story, exploration and no-weapon survival tactics. Experience a multiple thread narrative where your decisions matter, unlocking different story paths and multiple endings. A 3D sound based AI system is the core survival gameplay mechanic. Hide, run, creep, trap and distract are some of the techniques you need to master to survive enemies with super hearing. As you progress, enemies become more difficult to avoid, to the point where standing still and holding your breath is the only option! Time it correctly and you’re safe, for now. Run out of breathe and — suffer. With the support of the Creative Europe Programme – MEDIA of the European Union. Non-linear Story: The game will give the player the possibility to choose their ending and we have planned 3 narrative branches which allow for us to have a non-linear story. Sound Based Survival: A unique 3D sound based AI system is the core survival gameplay mechanic. Realistic Visuals: Featuring 4K uncapped on PC (1080p 60 frames per second minimum) and HDR enhancements on PlayStation 4 Pro and Xbox One X. 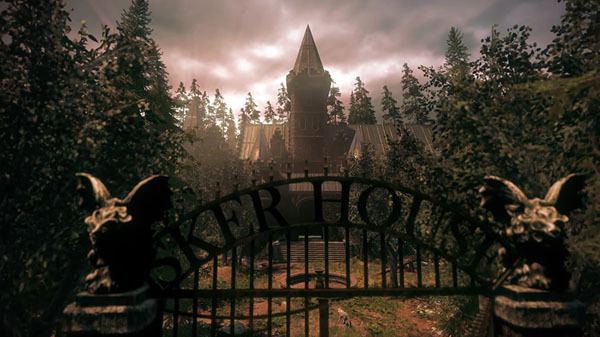 Haunting Setting: The game is set in Victorian Wales, in and around Sker House, based a haunting real dwelling which still stands today in Porthcawl, Bridgend, South Wales.